39 Dallas Cup Alumni on 2014 World Cup Rosters | Dallas Cup, Inc. The impressive number signifies that Dallas Cup alumni made up more than 5% of the total player pool of the 2014 World Cup. These players represented 12 of the 32 countries that competed in the world’s most popular sporting event. 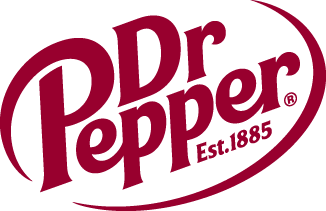 The Dr Pepper Dallas Cup, the most prestigious international youth soccer tournament in the United States, identified 39 Dallas Cup alumni that were named to the 23-man rosters of the 32 participating teams in the 2014 FIFA World Cup. The impressive number signifies that Dallas Cup alumni made up more than 5% of the total player pool of the 2014 World Cup. These players represented 11 of the 32 countries that competed in the world’s most popular sporting event. Numerous alumni in the Dallas Cup’s 35-year history have gone on to have successful soccer careers on the international stage, including legends David Beckham of England, Spain’s Raul, and Landon Donovan of the United States. In all, Dallas Cup alumni have played in over 430 FIFA World Cup matches, and have scored over 40 goals in the sport’s most important tournament. In 2014, USA captain Clint Dempsey, Mexico’s Javier "Chicharito" Hernandez, England’s Wayne Rooney, and Costa Rica's Joel Campbell were just a few of the Dallas Cup alumni that scored goals in this year's World Cup. Here is the complete list of Dallas Cup alumni players that were called upon to represent their countries in Brazil for the 2014 FIFA World Cup.